In Punta Cana, it's all about the beach. 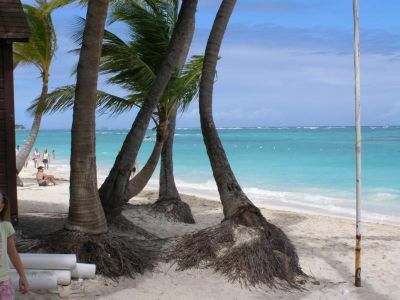 Punta Cana is undeniably breathtaking with tall swaying palms scattered along 21 miles of some of the whitest and finest coral sand beaches in the world. The area has become a haven for vacationers who are seeking a beach chair, a Pina Colada and a good read. Punta Cana is the perfect atmosphere for families, couples or friends who are looking for a resort-style vacation. Just about every tour embarks from this area so no one in the group can complain about being bored. The majority of the over 30 resorts in Punta Cana are all-inclusive, allowing for an easygoing vacation with plenty to do. As one of the fastest growing areas in the country, more luxurious and bigger complexes are planned to open in 2006. Beyond new accommodations, a 24-mile long boulevard is being built to easily move vacationers throughout the area.